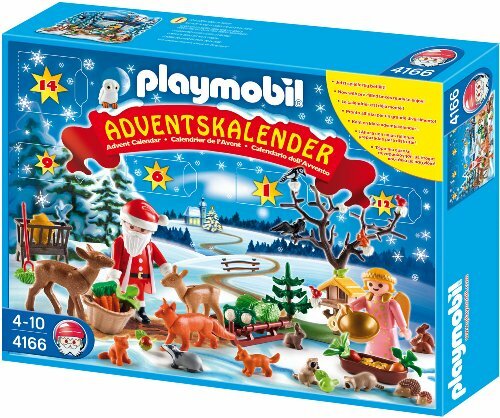 We also celebrate the countdown to Christmas with Advent Calendars. Eva’s is a Playmobil one, where she opens a new door each day, and it contains a little treat. In this case, each door contains a component to a winter animal-feeding scene. Did I mention before that we love Playmobil in our house? A beloved character in German history is St. Nikolaus, who is loved by children because he is the bringer of gifts. In America, we know him as Santa, who comes on December 25. 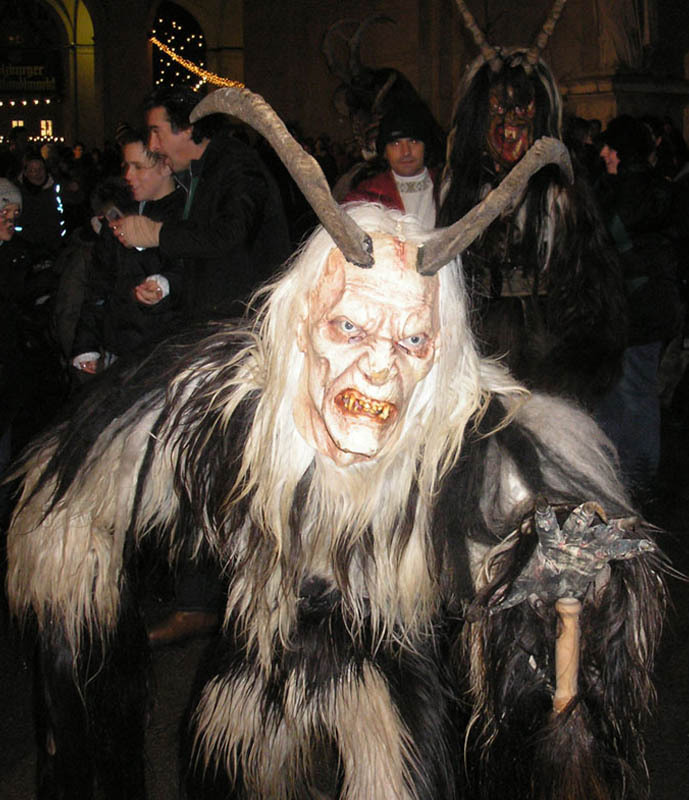 In Germany, he comes on St. Nikolaus Day, December 6. 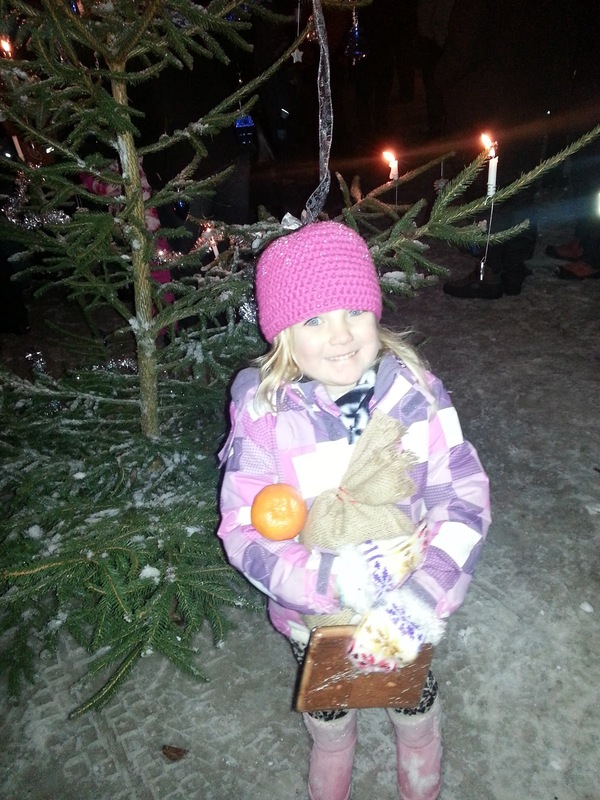 Eva and Emma are lucky, as we let them celebrate the American, German and Swiss Christmas traditions! On December 5, all the good boys and girls clean their boots and then put them out on the doorstep in case St. Nikolaus comes by. If the children were good, they get a treat, and if not, they get a tree branch (“Rute”). Eva spent quite some time scrubbing her boots, and on the morning of the 6th, discovered a delicious treat of candied almonds in the boots (wrapped of course, St. Nikolaus must understand my need for cleanliness). After greeting all of the children (In German, French and English), he took out his magical golden book, in which was written all of the things about the girls and boys that were there. St. Nikolaus told Eva that he was so pleased with her writing and crafting, and that she usually takes good care of her little sister. However, he said that sometimes, she should be a bit gentler with Emma, and should listen better to her mom and dad. He told Emma that he was so proud of her for being such a happy baby and smiling throughout the day. However, she needs to learn to sleep better at night: that is not the time for smiling and laughing. Once he read from his book each of the children got some treats! Each child got a sack full of treats (chocolates, haribo candy, mandarine oranges, nuts), an official IDEXX stuffed animal, and a fantastic pen! Eva had drawn a picture for St. Nikolaus, which he told her he would put in a very special place. As for her part, for the first time, she was speechless. oranges that were already eaten! Is that terrible or what? It looks like the gates of Hell have opened. Now you can see why Daniel skipped this part of the tradition. I think I’m going to have nightmares from looking at this stuff, let alone the kids. Daniel was scared of St. Nikolaus as a kid, and now I no longer laugh at him for this. Since we live in Switzerland, Eva also got to meet “Samichlaus”, thanks to her soccer club who organized the whole thing. He also has a creepy little sidekick, Schmutzli, who has a little whip. 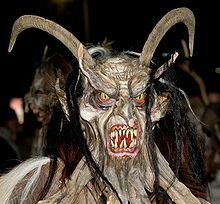 All the kids that are good get treats, and when Samichlaus’s bag is empty, Schmutzli stuffs the bad kids in and kidnaps them. There is nothing quite like terrorizing children to ring in the holiday season. In many households, children must recite passages or songs before getting a treat, but all in all, the tradition is the same as St. Nikolaus. So on Saturday night, we headed to the forest where a beautiful Christmas tree was lit with real candles. The kids all had a snowball fight until we heard bells jingling. 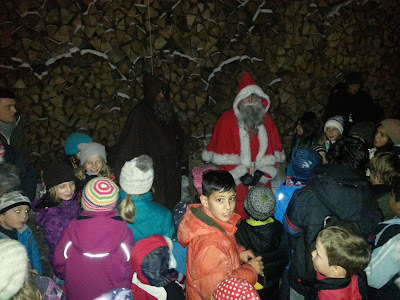 The kids were all quiet as Samichlaus, Smutzli and their donkey made their entrance. Each child got their bag of treats. Eva bravely got hers from Schmutzli. Here she is with her treats! The contents of the bag: Yummy! Our beautiful Emma, loving her outdoors outfit! Then on Monday morning, it was back to work/school with the Papa taxi! It's good to see this post, this way I know you are all still alive and well ;) Glad you are all having a good time this holiday season over there across the ocean blue!